Russia's biggest military exercise since the Cold War, involving about 300,000 service personnel, is getting under way in eastern Siberia. China is sending 3,200 troops to take part in "Vostok-2018", with many Chinese armoured vehicles and aircraft. Mongolia is also sending some units. The last Russian exercise of similar scale was in 1981, during the Cold War. But Vostok-2018 involves more troops. It comes at a time of heightened Nato-Russia tensions. Relations between Russia and the North Atlantic Treaty Organisation (Nato) - a 29-member defence alliance dominated by the US - have worsened since Russia annexed Crimea from Ukraine in 2014. Kremlin spokesman Dmitry Peskov said the drills were justified given "aggressive and unfriendly" attitudes towards Russia. What will happen in the drills? The Russian defence ministry says 36,000 tanks, armoured personnel carriers and armoured infantry vehicles will take part in Vostok-2018, from 11 to 17 September, along with more than 1,000 aircraft. Vostok is Russian for east. The drills will not be near the disputed Kuril islands north of Japan, Russia says. The ministry's TV channel Zvezda says three brigades of Russian paratroops will play a key role, during drills at the Tsugol military range, near Russia's borders with China and Mongolia. A key aim is to practise the rapid deployment of thousands of troops, as well as aircraft and vehicles, from western Russia to eastern regions, across thousands of miles, TV Zvezda reports. That involves in-flight refuelling of fighter jets. The scale of Vostok-2018 is equivalent to the forces deployed in one of the big World War Two battles. A smaller-scale Russia-Belarus exercise was held last year. President Vladimir Putin has made military modernisation - including new nuclear missiles - a priority. Russia's armed forces are reckoned to have about one million personnel in total. 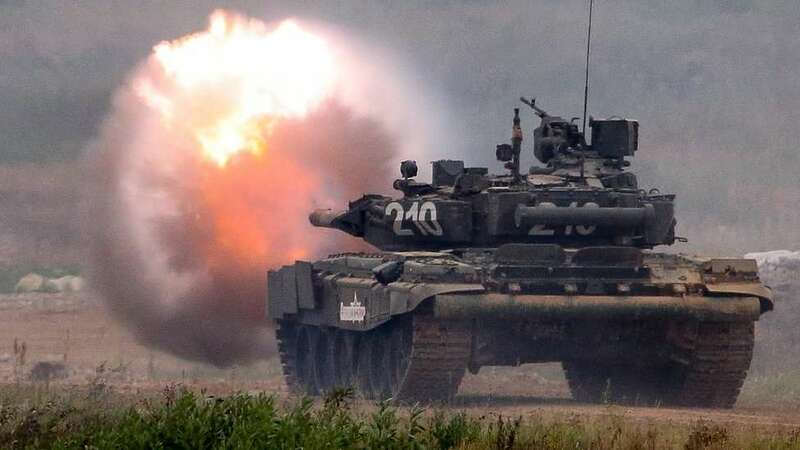 A Russian senator and reserve colonel, Frants Klintsevich, said "it suited the West that our units and headquarters lacked combat skills and co-ordination, but times have changed; now we have a different attitude to combat readiness". How and why will China be involved? The Chinese defence ministry spoke of deepening military co-operation and "enhancing both sides' capabilities to jointly respond to various security threats", without specifying those threats. The ministry confirmed the extent of the Chinese involvement: "3,200 troops, more than 900 pieces of military hardware as well as 30 fixed-wing aircraft and helicopters". Mongolia has not given details of its involvement. Russian Defence Minister Sergei Shoigu says Islamist extremism in Central Asia is a major threat to Russian security. China has imposed heavy security and censorship in the mainly Muslim Xinjiang region. Xinjiang has seen intermittent violence - followed by crackdowns - for years. China accuses Islamist militants and separatists of orchestrating the trouble. Mr Peskov said the involvement of Chinese units in Vostok-2018 showed Russia and Beijing were co-operating in all areas. In recent years they have deepened military co-operation and during these drills they will have a joint field headquarters. It contrasts with the Cold War years when the USSR and China were rivals for global communist leadership and clashed on their far eastern border. The scale and scope of Vostok-2018 is unprecedented for modern Russia, but no surprise. The giant drill is clearly meant as a show of strength by Vladimir Putin and his military, a demonstration that - despite Western sanctions, including against the defence sector - the country remains defiant. It's also a reminder that, while Russia is seen as a hostile and aggressive force in the West, Moscow has long seen Nato encroachment as the threat. Hasn't Russia just held a military exercise? Yes, in the Mediterranean - it focused on co-ordination between warships and aircraft. Tu-160 heavy bombers also flew from Russia and practised launching cruise missiles - firepower that Russia has already used in Syria. It was small compared with Vostok-2018, involving 26 vessels (including two submarines) and 34 aircraft. It lasted a week and ended on Saturday. Western analysts saw it as part of Russia's operation in Syria. Russian aircraft have played a key role in support of Syrian government forces. Spokesman Dylan White said Nato was briefed on Vostok-2018 in May and would monitor it. He said "all nations have the right to exercise their armed forces, but it is essential that this is done in a transparent and predictable manner". "Vostok demonstrates Russia's focus on exercising large-scale conflict. It fits into a pattern we have seen over some time: a more assertive Russia, significantly increasing its defence budget and its military presence." Why is Russia-Nato tension high? It has been increasing since Russia annexed the Crimea from Ukraine in 2014 and backed pro-Russian rebels in eastern Ukraine. Nato has reacted with an increased deployment of forces in eastern Europe, sending 4,000 troops to member nations. Russia says the Nato build-up is unjustified and provocative. It says the Ukrainian revolution of 2013-2014 was a coup masterminded by the West. Russian diplomats were expelled from Nato countries after the poisoning of Russian ex-spy Sergei Skripal and his daughter, Yulia, with a nerve agent in southern England in March. The UK blamed Russian military intelligence - the GRU - for the attack; Moscow denied involvement.